A popular northern destination that continues on past Ras Mohammed towards the Tiran. The coral reefs we visit from South to North are: Gordon, Thomas, Woodhouse and Jackson. 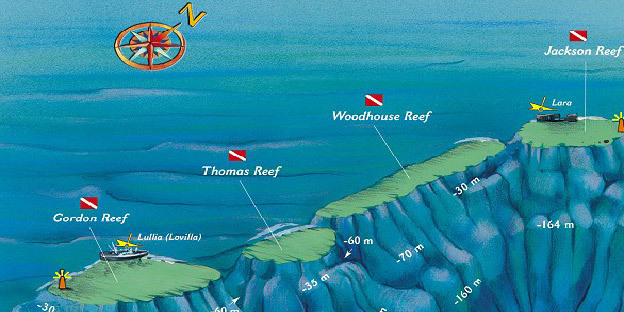 The reefs got their names from 19th century British map-makers who were the first to make maps of this area. The Tiran Islands, hiding a virtual coral reef forrest on the sea bottom, lie at the entrance of the Akaba Bay and almost block the way to the Red Sea. There are only two narrow strips allowing entry through: the Enterprise on the West and the Grafton on the East, where the depth is 360 metres, quite shallow compared to the depth of 1,800 metres to the North and South from here. This creates strong currents rich in nutrients, providing an excellent habitat for fish and large whale species. Diving at the Tiran Islands is recommended for advanced divers. St Johns and Abu Fandira is a place where there are hardly any liveaboards or hoards of divers in sight. The 6km-long line of reefs lie south of St Johns in an east-west direction. The various topography of the 6 long reefs offer wonderful views onto brilliant coral blocks at about 15-20m. 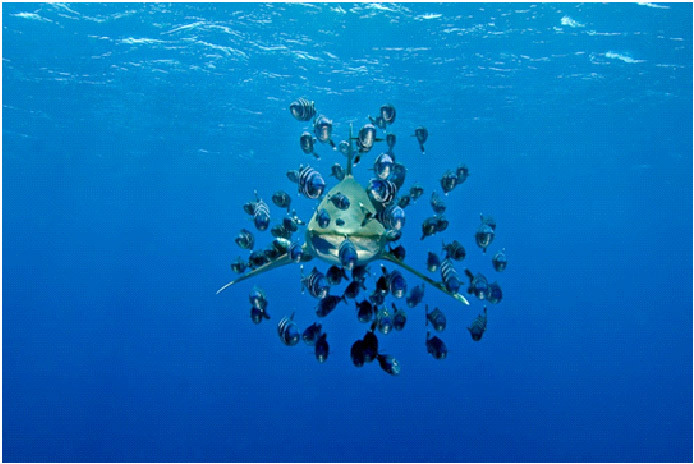 Beside the reef sharks that cruise in the area, you will also find large schools of fish and many species of crustaceans. Gorgeous Napoleon fish and the rare humphead parrot fish are residents here in large numbers. 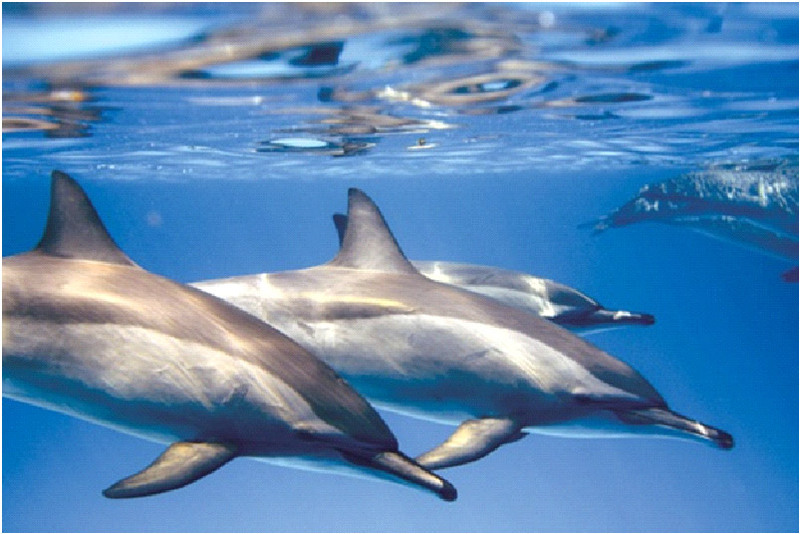 The Satayah Lagoon, also known as Dolphin Reef, is home to hundreds of bottlenose dolphins. This is their home, so meeting with them is guaranteed. On top of this, here is the most beautiful cave system in the Red Sea amazing divers with a unique light show. Diving on either side of the reef, gorgeous coloured soft and hard corals can be found right under the water surface. Mackerels, tuna and turtles circle among the reefs and in deeper waters lucky divers can meet up with hammerhead and grey sharks. Giant Napoleon fish cruise around the mooring sites of the boats. This is one of the most intriguing wrecks in the Red Sea which was discovered by Cousteau in 1956. This British ship was carrying ammunition when she was hit by a German bomb in 1941. The wreck lies at the depths of 20-32 metres on the sandy sea bottom with its cargo (trunks full of weapons, tanks and ammunition) strewn around her. 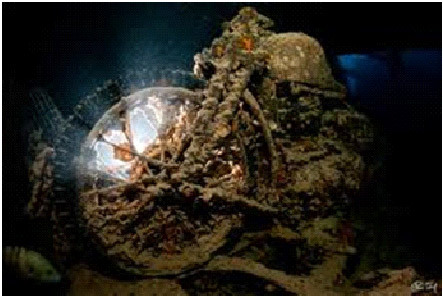 What make this wreck so exciting are the war supplies (trucks, motorcycles, jeeps, car tires, military uniforms) that, aside from some corrosion and the mud, lie almost untouched on the main deck. The Brother Islands are two small islands in the middle of the Red Sea. The Big Brother can be easily identified by its lighthouse that was built by the British in 1880. A big military ship wreck, the Aida II, rests on the Northern side of the island. She sank in 1957. The western side of the island provides home to large schools of barracudas, surgeonfish, mackerels, snapper fish and of course sharks, sometimes even tiger sharks. Sharks rest around the oval-shaped reef that lies 3-4 metres under the water surface. By the Northern plateau at the depths of 20-25 metres hammerhead sharks cruise and white-tip oceanic sharks are frequent visitors under the boats in 5-15 metre-deep waters. 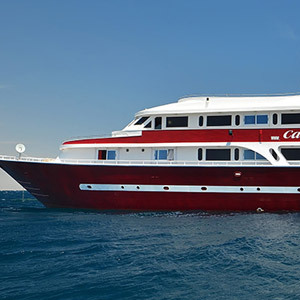 Steep walls decorated with magnificent gorgonians drop into the deep on all sides pulsing with vibrant marine life. This site is recommended for advanced divers because of the strong currents. You can purchase the Egyptian tourist visa at the Egyptian airports. There are no mandatory vaccinations for travelling to Egypt. Egypt is a true African country with Arab traditions. 09/06/2019 - 16/06/2019	 Andromeda Egypt - Rocky & Zabargad	 Full	 Get Offer! 16/06/2019 - 23/06/2019	 Andromeda Egypt - North	 Available	 Get Offer! 23/06/2019 - 30/06/2019	 Andromeda Egypt - Brothers + Daedalus + Elphinstone	 Available	 Get Offer! 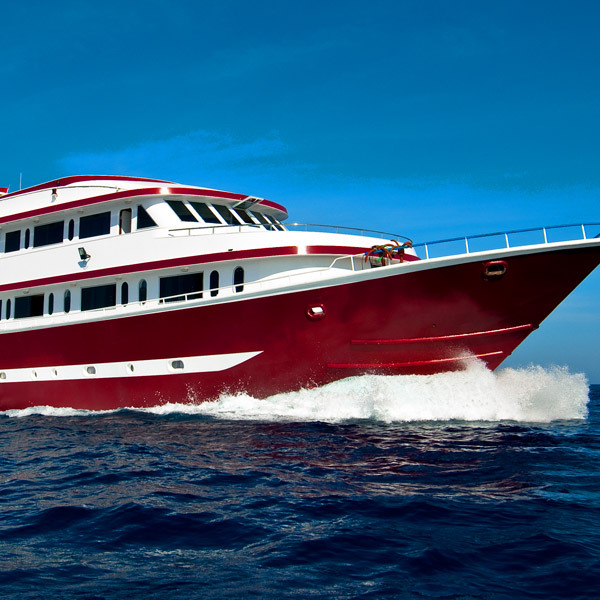 30/06/2019 - 07/07/2019	 Andromeda Egypt - North + Tiran Islands	 Full	 Get Offer! 07/07/2019 - 14/07/2019	 Andromeda Egypt	 Available	 Get Offer! 14/07/2019 - 21/07/2019	 Andromeda Egypt - Brothers	 Full	 Get Offer!